PREY’S FIRST REVIEW — 5 STARS! 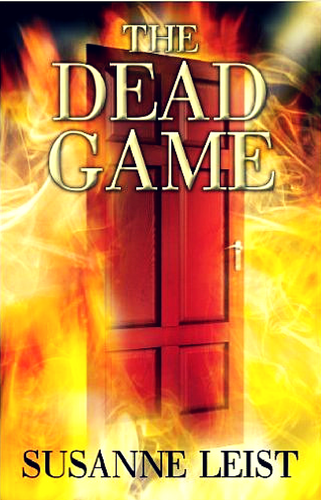 I read The Dead Game by Susanne Leist back in 2016 (see my review here) Although this can be read as a stand-alone I highly suggest you read the first in this series–you will somewhat need the background to understand how it all came about! Oasis is overrun by Vampires, hybrid vampires and of course, there are also humans who haven’t a clue. One group of Vampires is trying to kill off the other group and I was hard put to figure out who was truly trying to protect the town and who wasn’t. Talk about twists and turns–this novel has MANY. Then you have two human females who actually do know what is going on–and one of them is being romantically pursued by 2 of the hybrid vampires. She really likes them both–but does she really want to get into a relationship with any kind of vampire? Lots of action which will keep you wondering and reading until you have finished the book! Linda Bennett’s dreams of happiness have always eluded her. Five years ago, she moved to Florida from New York to escape heartache. The Dead vampires and their leader, Wolf, had ruined any hopes of peace for her and her friends. Surrounded by vampires and hybrids–human vampires, Linda finds solace in her bookstore. Then one morning, the lights go out and an explosion rocks her shop and any future dreams for a happy ending. Linda and her close friends–Shana, David, and Louise–race to where lightning converges on an isolated spot behind the town. A sinkhole replaces End House’s former site. Around the hole stand The Watchers–the vampire police, the group of five hybrids, and The Elders–the local vampire leaders. Echoing from inside the dark pit are the voices of Father John, the vampire hunter, and Abe, the head Watcher. Trapped with them in the tunnels below Oasis is the magical door that controls time. Can Linda choose between Gregg and Todd–the two hybrids who compete for her heart and are at war on opposing sides? Will she find her happy ending? I have always loved to read. Agatha Christie, Alistair Maclean, Robert Ludlum, and many other authors filled my young imagination with intrigue and mystery. When I wasn’t reading late into the night, the TV shows–Murder She Wrote and Columbo–entertained me with tales of murder and suspense. The Dead Game, Book One of The Dead Game series, brings fantasy and the surreal to the classic murder mystery with dead bodies, suspects, and clues. It offers vampires, vampire derivatives, and a touch of romance to spice the motley mix. The story continues in Book Two, Prey for The Dead, as The Dead vampires use an exclusive club in Disney World to infiltrate the rich and famous. As The Dead grow in power, not even the bright sunshine of Florida can weaken them. Linda, my main character, and her friends join forces with human vampires–known as hybrids–to defeat the evil threatening to control Oasis. A masquerade ball and a romp through the tunnels beneath the town lead to a showdown in the swamps of southern Florida. Has he returned for me? Is he a hybrid or a vampire?